Working remotely benefits not only employers! The advantages of working from home are all about what every side of this process wants to get from it for itself. This topic splits people into two camps. The first part believes that remote employees will get nothing done, the other one is sure that workers will be more productive, get paid better and as result, they will be happier. So, the opinions may vary but all agree that every side of the collaboration gets their remote work benefits! One of the biggest pluses for the employers – there are no extra costs for office space, equipment, bills, etc! Employees by themselves pay for their internet, computer, electricity and other bills and utilities. What is the most important for the workers? It is a flexibility with a schedule! These are the benefits which both sides definitely get from remote work – and that are reflected in the work results. Results are: employees are happy and more productive, while employers have less stress and get more profit! This is the way we build our HR model and management system. Staffing covers a broad range of work activities and functions: administrative, personal and virtual assistants, virtual receptionists and data entry specialists, word processing, event planning, excel tasks, project management, marketing and business development, bookkeeping, multilingual operators of call centers and contact centers, sales managers and assistants, content managers and SEO experts, IT developers, customer support specialists, and so on. Our staff is well trained and highly qualified to complete any task remotely. They are happy with what they have, excited to grow and learn new areas to provide their service on the high level. We built a well-organized personnel management structure. We found a balance in a relationship between the comfort of a home working space and the productivity of employees. If your dream is to make your employees happier and more effective – get in touch with us! 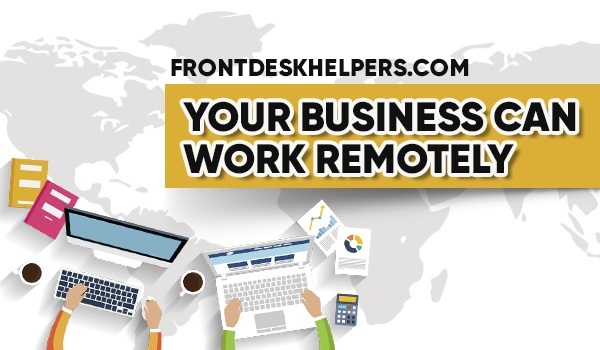 Remote worker – is the closest future for the business in almost any domain. And we have a full complex solution for any size of business. – you want to hire a highly qualified staff – you plan the transition of your staff to remote work – we have a ready solution for your business! $15/month each member will work from home remotely. You’ll get your own call center, complete software solution, monitoring systems and 24/7 multilingual support. Will be as productive as the office workers and even more! Wear clothes you feel comfortable in, take a position that makes you feel creative, turn on the music you love. Prepare your “working from home” area to be equal to the dream working space. Will be able to complete all tasks at home as if you were part of the in-house staff in the office. Our main point is the building of a strong and effective internal communication system. We use the newest methods of internal communication in order to create a constant connection to our personnel. These ways include modern software, emails, social networks, chats, international calls and conferences using tools such as Skype, Hangout, Viber, etc. Now, a huge amount of options are available to us from our own homes! So, our staff is able to stay online at any time and any place! Whether they are working on their own PC or by someone’s other device, or even with the smartphone in their hands. Cloud Technologies help us to coordinate all the tasks in real-time mode. And being connected constantly to the CRM makes possible to build our company’s infrastructure correctly and increase the whole team efficiency and productivity of every its member! Will work in a team of its own dream! There are not many of office workers satisfied with every person in the office even if they try to be polite and nice and this affects to a comfortability and productivity. Most of us work with our friends if we have a chance to do it. Remote work gives this opportunity! Sharing the screen with your coworker in order to meet a project deadline. Signing up for a common remote working space in order to make a brainstorm with a cup of coffee. There are a lot of other ways to spend working hours effectively with the team created according to your preferences. That’s the personal choice and how many of the remote work benefits every side gets are partly depends on every one of them! Front Desk Helpers Inc. takes care of its staff by organizing corporate meetings, training, and other events. Our goal is to build a strong internal connection between individuals inside of the team and also between the personnel and company management in particular. It allows us keeping the remote staff productivity and its morale at the high level of efficiency! Will improve its morale and as a result – boost the bottom line for your business! The lack of distractions at home working area, like a bright light in the office all day long, a lot of new people walking around with they own needs, sometimes smoking people, etc. These and many other factors usually do not allow workers to focus on their work. So, the remote work is the number one way to ramp down stress levels, increase the productivity, and finally, get best results. Front Desk Helpers Inc. combines all those factors to provide excellent results from the very beginning. Will make more free time for family, sport, hobby, friends, etc. More satisfaction with the job – more productivity! It gives the person more time and freedom during the day. To take a break and make a bike ride, or take time out for the family for a while and then go back to work. But moreover, there is an opportunity to make more time to plan, organize, train and grow as a professional. So, this is a direct connection between employees satisfaction and business success. Keep reading our new posts, the next one will cover 5 remote work benefits for employers! Join us on Youtube and watch our video about Virtual Office Advantages!